understanding, but please don't turn it into a chore. THE MOST IMPORTANT THING IS READING SHOULD BE FUN! take the book he was reading at the time. she'll make me do a report!" Scroll down or click on your favorite book. Even If I Spill My Milk? Just want the coloring Pages? Got your crayons and pencils? LeUyen Pham drew these faces to be made into masks. Unfortunately, the cute wide-set eyes are too far apart to match up with people eyes very well, but they are still fun. Click to print, then color and cut. "Our Star " "Daddy " "Mommy "
Patterns: Create Your own quilts using fabric or paper. 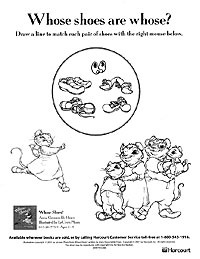 Includes quilt designs to color . In My Own Big Bed the child is excited about moving from her little crib to her new big bed, but she is nervous, too. She thinks of all the things that might go wrong and ways she can fix things so it will be all right. Do you remember when you first started sleeping in a big bed? Were you excited and happy? Were you a little bit sad to give up some things you knew and loved? Or were you a little bit of each? What other things can you remember that made you feel like you were growing into a big boy or girl? Do you like being big or do you sometimes wish you could be little again? What's good about growing up? Are there some things you've had to give up that you didn't want to give up? Do you still have something from when you were little that makes you feel safe and comfy, a favorite toy or blanket maybe? The child in My Own Big Bed likes to have a story and a hug and kiss from Mommy and Daddy before she goes to sleep. What are the things you like to do just before you go to sleep? Draw a picture of yourself when you were a baby. Put in all the things you liked when you were very little. Now draw a picture of yourself now. Put in things you like now. What kinds of things can you do now that you couldn't do when you were little? Draw a picture of yourself when you are even bigger. Show yourself doing something you can't do yet, but want to be able to do someday. Make a grid on a piece of paper. Make the squares at least one inch on a side. Get some old magazines and find colorful pictures. Cut out one inch squares of colors and patterns you like. Arrange them in different ways on your grid until you come up with a design you like. You can also do this with colored paper, choosing just a few colors. Since more of your squares will be the same it is easier to make a regular pattern. You can also make a triangle grid and use triangles instead of squares or a combination of triangles and squares. Write a story about doing something for the very first time. Are you (or your character) nervous about doing it? Are you worried that you can't do it? Are you worried that you won't like it? How do you help yourself go ahead and try anyway? How does it feel when you've done it? Write a story about someone who doesn't want to grow up. Even though this person is getting bigger and bigger he or she still wants to do baby things and be treated like a baby. This could be a very silly story! Did you or do you have a favorite toy, blanket or other thing from when you were very small? Pretend you are that thing and write a story about your adventures. Write about the time you were lost, or had to be washed, or had some other adventure. Do you like being a kid's favorite thing or are you getting tired of being dragged around? If you are forgotten or lost do you feel sad or lonely? Do you like to go to bed or do you sometimes like to delay it if you can? Write a story about a child who will do anything not to go to bed. Does he or she get away with it? What if he or she does get away with it and stays awake all night? Do they get tired and cranky? Or do they just keep getting wider and wider awake until they can never sleep again? This could be a silly story, too. Big Like Me is a story about getting a new baby in the family and all the special things the big brother can share with the baby as she gets bigger and bigger until she is one year old. What can a one-year old baby do? The baby in this book was born in January, at the beginning of the year. Are all babies born in January? If a baby is born in January, when is it one year old? What about a baby born in March? If the big brother is three years old when the baby is born how old will he be when the baby is one year old? Will the baby ever catch up to him? Do you think babies grow fast or slow? Is a year a long time, or a short time? Babies need a lot of attention. What are some of the things the mommy or daddy have to do for the baby? What are some things the big brother or sister can do for the baby? Have you ever felt jealous of all the attention a new baby gets? Do you think it is better to be a big kid and know how to do lots of things for yourself or a baby and have someone do everything for you? Do you ever wish you could be both at the same time? Did you ever see a baby kitten, puppy, mouse or other pet soon after it was born? How is it different than the mother pet? Find out how long it takes different animals to grow up and be ready to take of themselves. It takes a human baby about 18 years to grow-up and be ready to take care of himself or herself. Can you figure out how many months that would be? Draw a picture for each month showing things that might happen that month. Show how the seasons change and the different things you can do as they change. Include holidays, birthdays and other family celebrations. MAKE A TRIPTYCH (say trip-tik)A triptych is a picture or tablet in three parts. You can make your triptych with words or pictures. If you use pictures you could draw them, or cut them from old magazines. Get three pieces of paper or fold one large piece into three parts. On the first part put the things you could do as a baby. On the second part put things you can do now that you could not do as a baby. On the third part put things that you cannot do now, but will be able to do when you grow up. Write a story about how a baby grows or how you grew. What can you do in the beginning? What can you do when you get a tiny bit bigger? Then bigger, and bigger, and bigger. Write a story telling about something you can do in each month of the year. Think about what the weather is like in each month. What things can you do in that kind of weather? What things can you do on the holidays or to get ready for them? Don't forget to include your birthday! Lassen loves to visit her Grandma because Grandma knows all the special things kids like, but when Lassen and her four cousins are all left in Grandma's care over-night, things get a little out of hand and the kids learn that even loving grandmothers have their limits. Grandma Gets Grumpy is used as a tie in to lesson plans about anger in The Peaceful Classroom. Lassen has her Grandma, Mama, Papa, two uncles, two aunts, and five cousins in this story. Grandparents, aunts, uncles, and cousins are called extended family. How many people are in your extended family? Do you see them very often? Does your grandma or grandpa ever get grumpy with you? How about your mom or dad? Do you ever get grumpy with them? What kinds of things will make them grumpy? When you have kids, do you think you will ever get cross? When all the cousins spent the night at Grandma's they made a big mess. Grandma waited until everyone helped clean it up. How long do you think it would take Grandma to clean that mess up all by herself? How long did it take when all the cousins helped? What is the fair way to do it? Have you ever played with your friends or cousins and ended up with a big mess? Can you draw your family tree? Can you imagine when your mom or dad was a child and your grandparents were the mom and dad? Does you mom or dad have pictures of when they were your age? Do you look like one of them did? Talk to your grandma or grandpa about the things your parent used to do. Did your grandma get grumpy with them? What chores did they have to do? Do they have brothers and sisters who were young then, too? Did they fight or get along? Do the activity above LEARN ABOUT WHEN YOUR MOM OR DAD WAS A CHILD. Write a story about your mom or dad when they were young. Lassen and her cousins make a mess they think is too big to clean up. Write a story about making a mess. Since no one will ever have to clean it up, you can make it the hugest most monstrous mess anyone has ever imagined. Write a story about cleaning up a mess. When my kids were little they hated cleaning up, but one time Sarah made up a game that made cleaning up fun for that one day. Can you think of a way to make cleaning up fun in your story? Daddy Makes the Best Spaghetti is a story about a regular but special time between a little boy and his daddy. They do ordinary everyday things like going to the store and fixing dinner, but it is special because they have fun doing it together. What are the chores that have to be done? What chores do you do to help your family? What makes it, or might make it, more fun? Daddy likes to tease and make jokes. What are some of his jokes? Does anyone in your family like to tease and joke? What are some of the jokes in your family? Does anyone ever get their feelings hurt? Do you ever help cook it? Ask people, "What is your favorite food?" Do lots of people like the same foods? Make a graph to show the results. Ask people, "What is your least favorite chore?" Can you think of another good thing to take a survey about? See if a grown-up will let you help them cook something. Have them show you the recipe. Can you help get the ingredients ready? and other things you will need? Can you measure, stir, wash vegetables? When it is done, help set the table and serve the food to your family. Get some paper about 12 inches by 18 inches. Get one sheet for each person at your table. Decorate each place mat with drawing, painting, coloring, collage or whatever you like. You can make a special place mat for each person, or you can make them all alike. If you want to be able to wipe them off and use them over and over, cover the front and back of each place mat with clear contact paper. Set the plates, cups, knives, spoons, forks and napkins on top of them. Now you are ready for a nice family meal. Draw a picture of your favorite food. Cut pictures of foods you like from old magazines and paste them into a collage. Draw a picture of your family doing chores. Are you smiling or frowning? Draw a picture of your family having fun. Are they doing something special, or something they do on all the time? Fill in the blanks of this sentence: My ____________ makes the best ______________. Get the recipe and copy it. Fill in the blanks again and again with different people and foods. Collect the recipes and make the pictures for each one. Now you have your own recipe book! Maybe each person in the class could do one recipe and you could make a class book. Is there someone you like to do things with, or someone you wish would do things with you? Write a story about spending time with someone special to you. What about this person do you especially like? What does this person do or say that makes you have fun with him or her? Do you have any jokes that you play on each other? How does the special time end? 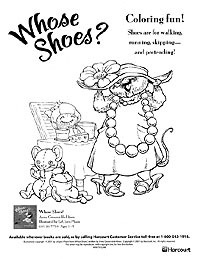 Make your own pop-up pages with these coloring pages. What Can You Do in the Wind? ...Rain? ...Snow? ...Sun? These four little books explore some of the things you can do in each kind of weather; snow, rain, sun, and wind. What are the different kinds of weather? What do you like to do on a cold day? What can you do on a windy day? What would be hard to do on a windy day? How can you tell when it's cold or hot? How can you tell when it's wet or dry? How can you tell when it's windy? What smells make you think of sunshine? What does sunshine feel like? What senses can you use in the wind? Draw a picture of different kinds of weather. Put yourself in the picture. What are you wearing? Make a chart with squares for each day. and a snowflake for a snowy day. Every day draw a picture symbol to show the weather. Do you need to put in more than one for some days? If you have an outdoor thermometer you might record the temperature, too. Close your eyes and sniff. Is there just one smell or many? Move to another place and sniff again? Does it smell the same or different? What can you tell about the weather when you sniff? Close your eyes again and listen. What are the loud sounds? What are the quiet sounds? What sounds do you like? What sounds do you not like? What can you tell about the weather when you listen? With your eyes closed reach out and see what you can touch. Can you touch the ground? What else can you say about how it feels? What can you tell about the weather when you use touch? Can you see the same things you smelled, heard and felt? Can you see some things that you did not smell, or hear, or feel? What can you tell about the weather when you look? Write a story or poem about all the things you would like to do in the snow, or the rain, or wind, or sunshine. Write a story about wanting to do something very much but you cannot do it until you have the right kind of weather. Do you try to do something to change the weather? Finally the weather is right and you get to do the thing you want to do. Note: You might like to read Umbrella by Taro Yashima. In that story Momo is waiting and waiting for the rain because she wants to use her new umbrella. To What Can You Do...? Go back and click on another book or go on to the next page.